I flatted a few miles from the Lake Easton stop on the Courage Classic 2012 route. As I wrote yesterday, the I-90 shoulder is a debris field of semi tire chunks, metal, glass, and bad pavement. I choose to run tubeless on this ride, for those reasons, and the sealant did its job. 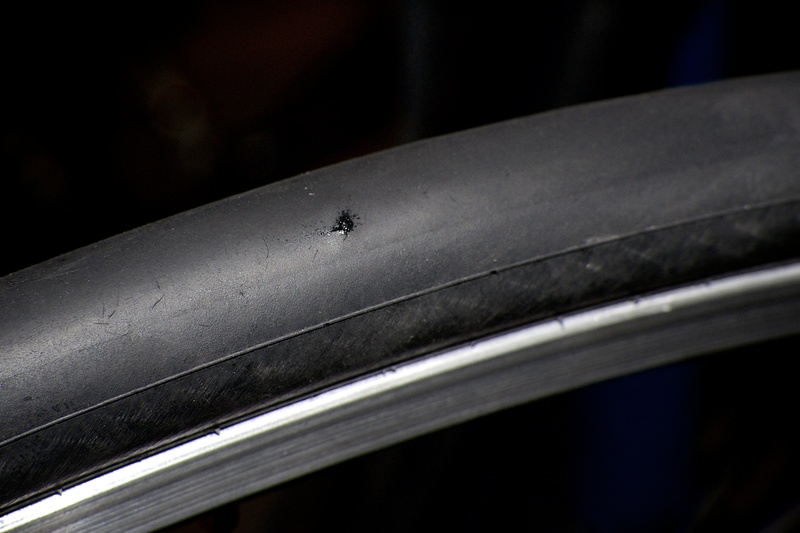 I heard the hiss, stopped, and saw the sealant bubbling up through the puncture. It was glass embedded in the tread and through the underlying fabric and belt. 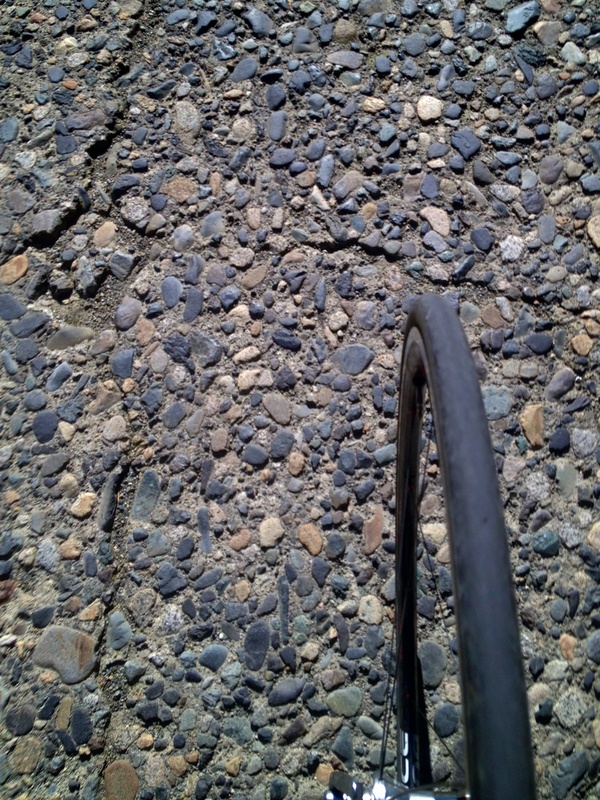 The tire would hold air, but only to 40 PSI, which was enough to get me to the next stop and a mechanic.